NEW DATA PRESENTED BY ENTERA HEALTH, INC. AT DIGESTIVE DISEASE WEEK 2014 - Entera Health, Inc.
Cary, NC (PRWEB) May 13, 2014 Abigail Henderson, PhD, presented new preclinical data for the prescription medical food, EnteraGam™ (serum-derived bovine immunoglobulin/protein isolate, SBI), demonstrating that the immunoglobulin-based protein mixture in SBI binds and neutralizes two types of toxins (exotoxins A and B) from several ribotypes of C. difficile, including recently isolated strains with particularly high virulence. The in vitro data specifically showed direct binding to each toxin as well as protection from cell death of a specific cell type in the presence of SBI. C. difficile toxins can cause damage to the lining of the intestines, contributing to the symptoms of infection that can range from diarrhea to pseudomembranous colitis, which can be fatal. C. difficile causes diarrhea linked to 14,000 American deaths each year. Ken Maas, MS presented a second poster showing the effect of SBI in a chemically induced nonclinical model of intestinal inflammation commonly used to study inflammatory bowel disease (IBD). The model utilized mice with defined intestinal microbial populations that were colonized with the pathogenic adherent-invasive Escherichia coli (AIEC) LF82 and then given dextran sodium sulphate (DSS) to induce intestinal inflammation. Results demonstrated that, when compared to test mice fed a control protein (hydrolyzed collagen), oral SBI attenuated histological changes resulting in lower levels of specific markers of intestinal inflammation and damage. Additional results confirmed that immunoglobulins in SBI bind microbial components of the bacteria inhabiting the intestinal tract of test mice, supporting the hypothesis that SBI’s action may affect the balance of bacteria. Bacterial imbalance or dysbiosis has been shown to contribute to inflammation in the intestine. Chronic IBD affects approximately 1.4 million persons in the U.S.
EnteraGam™ (serum-derived bovine immunoglobulin/protein isolate, SBI) is a prescription medical food product indicated for the clinical dietary management of enteropathy [e.g., in diarrhea-predominant irritable bowel syndrome (IBS-D) and HIV-associated enteropathy]. 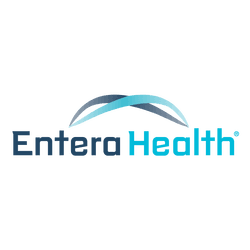 EnteraGam™ is required to be used under physician supervision as part of ongoing medical care for a specific condition or disease. EnteraGam™ is also indicated for the clinical dietary management of enteropathy in patients who, because of therapeutic or chronic medical needs, have limited or impaired capacity to ingest, digest, absorb, or metabolize ordinary foodstuffs or certain nutrients. For full prescribing information, please visit our product website at http://enteragam.com/. EnteraGam™ contains beef protein; therefore, patients who have an allergy to beef or any component of EnteraGam™ should not take this product. The most commonly reported adverse events in clinical studies (incidence of 2-5%) included mild nausea, constipation, stomach cramps, headache, and increased urination. Patients who are pregnant or nursing should not take EnteraGam™, as there are no data regarding the effects of serum-derived bovine immunoglobulin/protein isolate (SBI) in these populations. EnteraGam™ does not contain any milk products such as lactose, casein, or whey. It is gluten-free, dye-free, and soy-free. It contains the following inactive ingredients: dextrose (5 g) and trace amounts of sunflower lecithin.